For the first time in history Scientists have succeeded in capturing the so-called "event horizon", the border of the black hole and the point of no return beyond which everything is sucked forever. This remarkable achievement was achieved by an international network of radio telescopes, the Event Horizon Telescope (EHT). The blacks holes form when stars die, they collapse on themselves and create a region where the force of gravity is so strong that nothing (stars, planets, gas, dust and even light) can escape and instead gets sucked forever. They are of various sizes and extremely dense. This black hole is 55 million light years away from us and more 6.5 billion times that of the Sun. 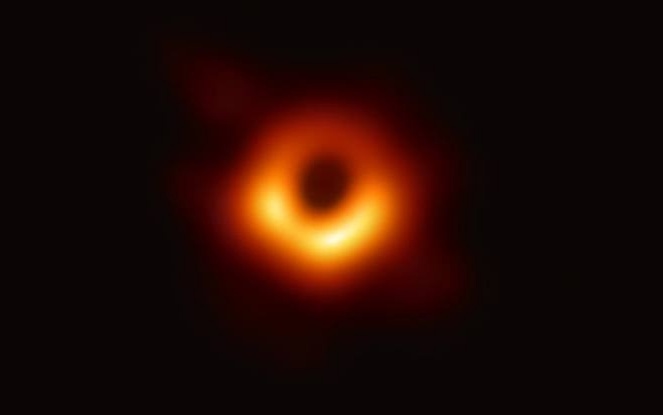 Given its nature as an extremely dense object from which not even light can escape, a black hole cannot be seen directly, but the warm disc of material surrounding it shines brightly in the radio band, obscured in the center by the shadow of the black hole. In their attempt to capture the image of a black hole, scientists combined the power of eight radio telescopes around the world using long-range interferometry, thus creating a virtual telescope of the same size as the Earth itself. Conferences were held simultaneously to explain the success of the study, as well as 6 scientific papers were also published on the subject in a special edition of The Astrophysical Journal Letters. It goes without saying that this achievement will surely bring new sensational discoveries and perhaps even indicate the way for new theories.